Helen has been a registered psychologist for 10 years and has experience in both the community based and private sectors. 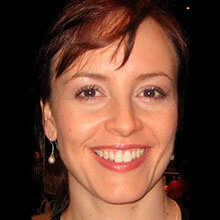 Helen works within a recovery oriented framework, tailoring the treatment to the individual needs of the client. Therapeutic interventions that are commonly used by Helen include Cognitive Behaviour Therapy (CBT), Interpersonal Psychotherapy and Motivational Interviewing. Working for 4 years in a role that provided mental health services to people of an Italian background, Helen has extensive experience in culturally appropriate therapeutic interventions and also issues specific to older people. She also has experience in seeing individuals with a range of mental health issues, including depression, anxiety, post-traumatic stress disorder (PTSD), eating disorders, problem gambling and substance abuse. Helen has a special interest in the areas of trauma and grief and believes that treatment should include a holistic approach. As result the Body-Mind connection is also an important area of interest to her. Helen is Medicare and WorkCover NSW accredited and can also see private clients for individual and relationship counseling. Her preferred practice is with adults and adolescents from age 12 years and over.